This is where comfort and style meet! 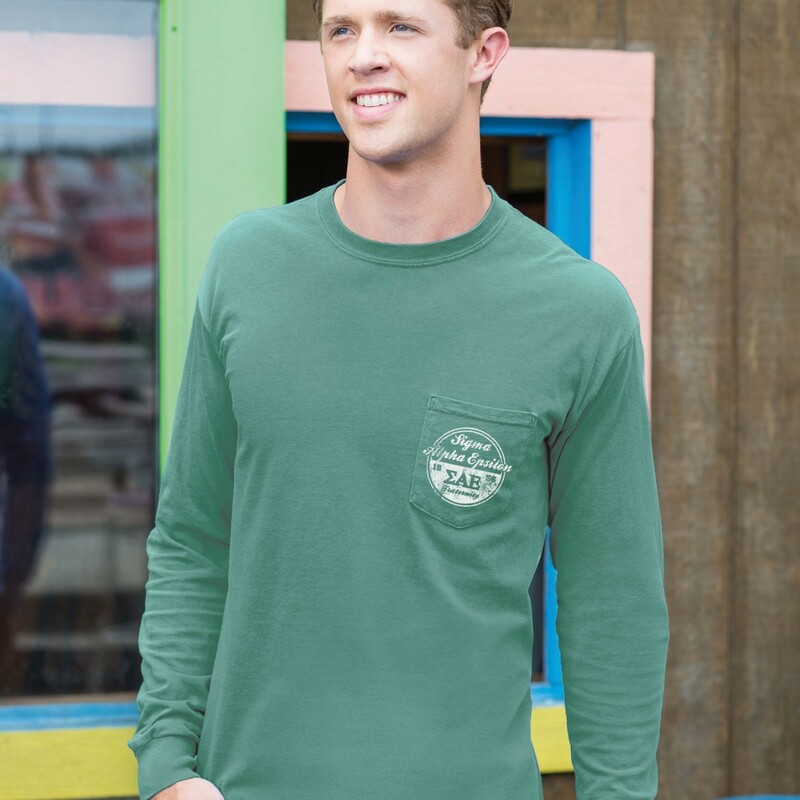 Our Sigma Alpha Epsilon Comfort Colors long sleeve pocket tee is sure to be your new go to shirt. Imprinted with a vintage Greek design on the pocket and a large distressed design on the back, you'll be looking good in your letters any time you wear it. 100% pre-shrunk ringspun cotton.